Dubbing former Delhi Congress chief Arvinder Singh Lovely's decision to join the Bharatiya Janata Party (BJP) a 'political opportunism', the Congress on Wednesday said it is an act of betrayal to leave the grand old party at a time when it is going through a bad phase. 'This is a sad news. I think it is a betrayal to leave the party at a time when it is going through a bad phase. It is a political opportunism. 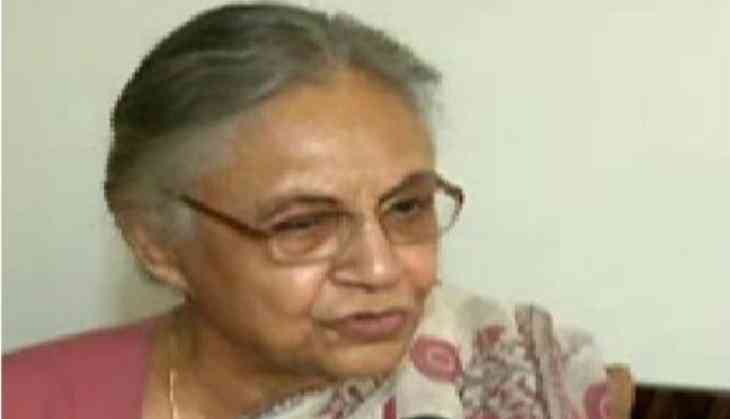 Whom should we trust if such people, who got so much respect and support, leave the party,' senior Congress leader Sheila Dikshit told ANI. Meanwhile, BJP leader Vijendra Gupta hailed Lovely's decision saying that people are showing their belief in the saffron party. 'The people are showing their belief in BJP because Congress is a drowning ship. Congress has to rethink their strategies and policies,' Gupta told ANI. Lovely yesterday joined the BJP along with former Delhi Youth Congress president Amit Malik ahead of the Municipal Corporation of Delhi (MCD) elections. BJP president Amit Shah formally welcomed Lovely in the saffron party in the presence of Delhi BJP chief Manoj Tiwari. According to sources, Lovely was upset over ticket distribution which compelled him to join the BJP. He was one of the important ministers in Dikshit's Cabinet during the Congress rule in Delhi. Kashmir turmoil: Who is to blame and what is the way out? READ NEXT >> Kashmir turmoil: Who is to blame and what is the way out?